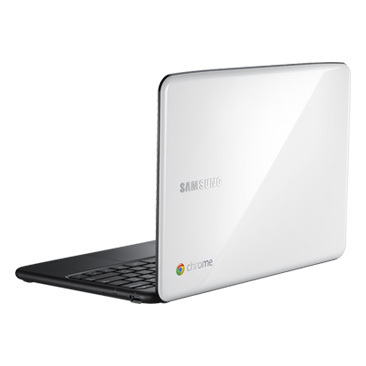 Samsung Series 5 Chromebook has arrived! Fast forward to last week, when a Google email arrived offering the Arctic White Samsung Series 5 3G Chromebook for $499 via Gilt.com. 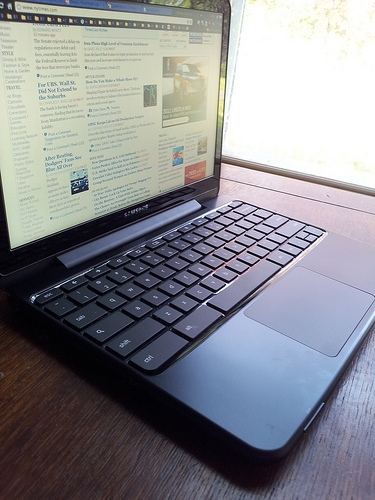 While I thought $499 was a bit pricey for what’s essentially a netbook, I went for it. It arrived today! I can see taking the Chromebook with me when traveling or when I want to work at a café – no worries about losing precious personal data if it’s lost or stolen. It’s small, light, and very portable. I enjoy the full screen view and find it fun to use. Would I recommend Chromebook to friends? Sure, it’s easy to use, low maintenance, and super portable. Because Google is aggressively improving Chrome OS, using it becomes even more enjoyable over time. I expect the price will drop after it’s been on the market for a few months, and come Christmas may be priced to make the perfect holiday gift.